Tavern Nesanica is popular tavern in Belgrade, located at No 8 Dobanovačka Street near Gardoš. To its guests tavern Nesanica offers combination of club and tavern atmosphere which makes its special and unique in Zemun. Tavern Nesanica is an ideal place if you want to spend casual time with your special one, friends or you just want to celebrate some special event. Here you can always dance and relax at the most. 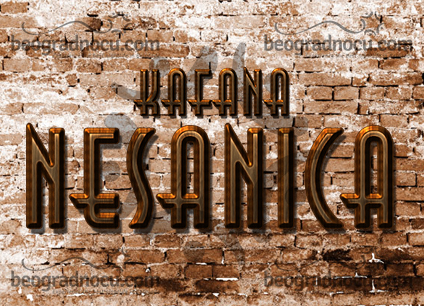 Music genre in tavern Nesanica is mostly pop and folk, but here you can here everything, depending on guests mood. Music program consists of wired musicians, live bend performances that are great professionals and doing their job wit lot of emotions. Music program is very carefully selected so many lovers of quality music can spend their time here. Tavern Nesanica has specific architectural design which allows simple interior. Interior is combination of stone and wood material which makes you feel very cozy and pleasant. Atmosphere is very pleasant and staff is very professional. Besides impeccable service tavern Nesanica has very affordable prices. In tavern Nesanica you will not have to worry about prices, since they are adjusted to everyone pocket. Tavern Nesanica accommodates 150 people and entrance is free with good mood. Tavern Nesanica gathers true hedonists so atmosphere here is very positive. Tavern Nesanica also has wide selection of spirits. Wide selection will inspire you senses and make this tavern your choice. One sure thing is that party is guaranteed here and you do not want to miss it.